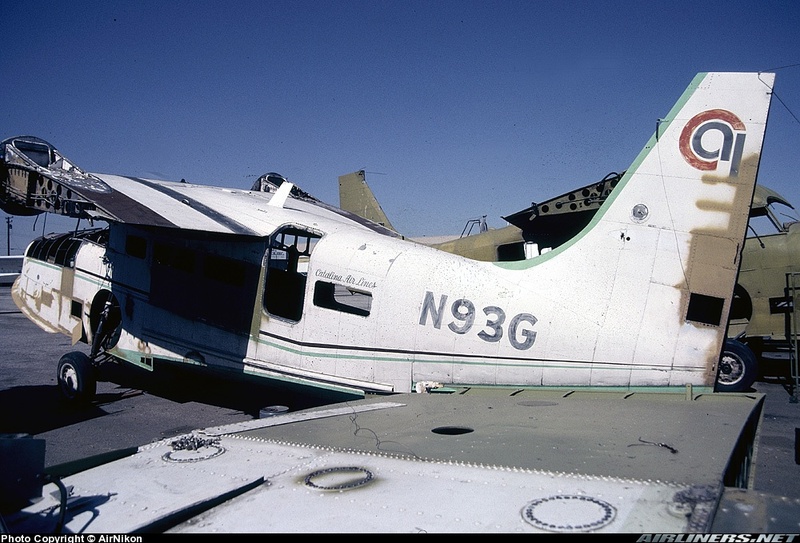 N11CS Serial #1166, This Goose was one of two Gooses that crashed in 1979. 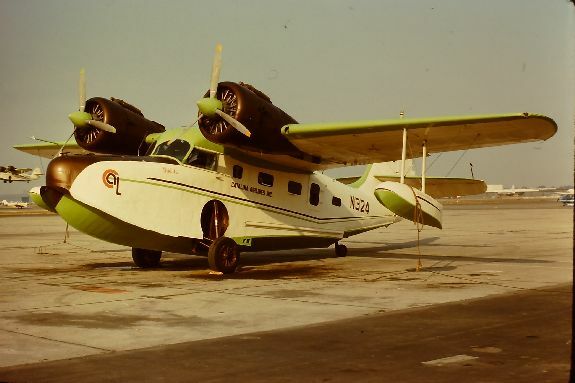 This Goose was formerly operated by Catalina Channel Airlines as N333F. 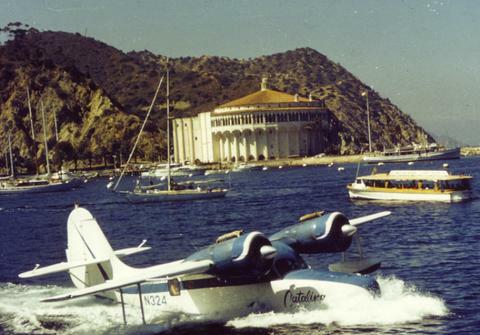 Ocean landing at Pebbly Beach, Catalina Island in Trans Catalina Grumman Mallard. 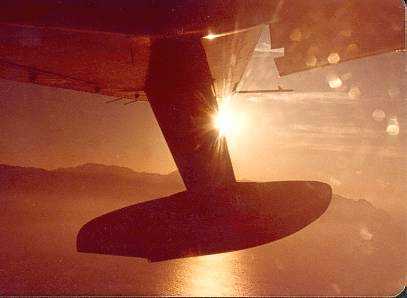 Flying to Long Beach at sunset on Grumman Mallard. 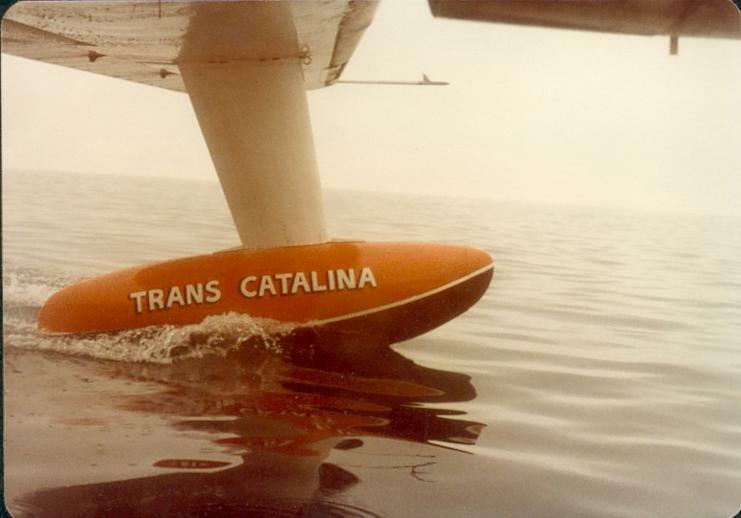 Catalina Island is in the background. 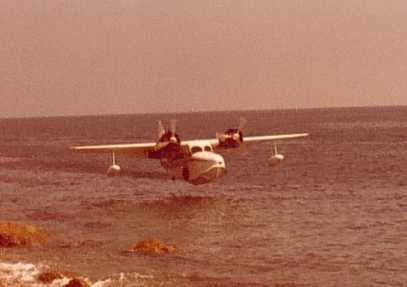 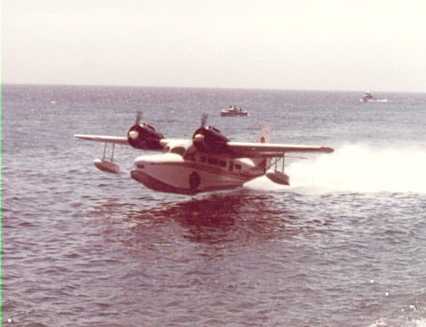 Grumman Goose N322 # B-73 Taking off from Pebbly Beach, Catalina Island. 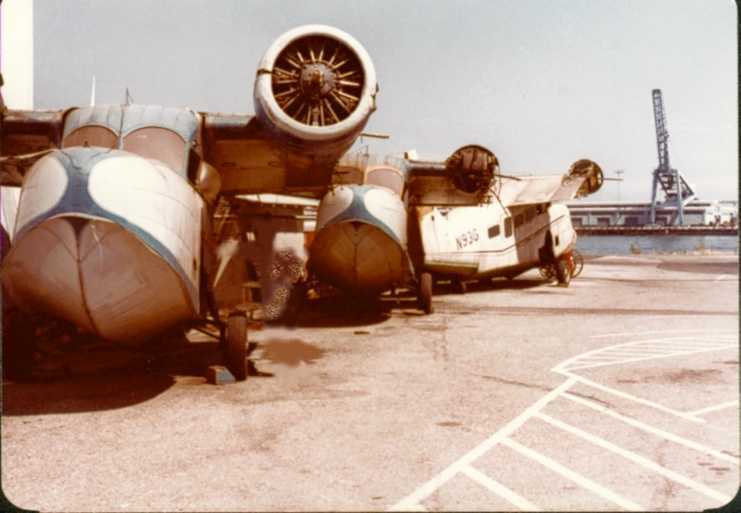 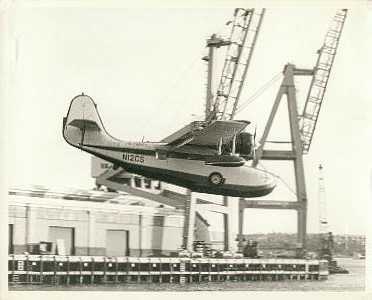 1978.
photographed these three Grumman Goose airplanes behind the San Pedro Terminal. 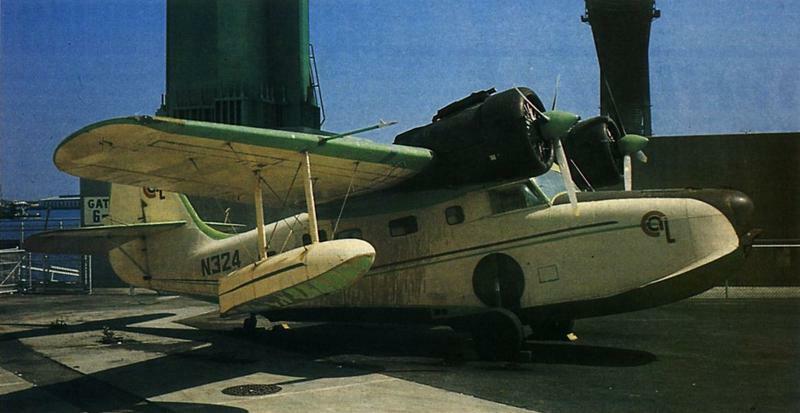 N12CS #1085, N13CS # 1007, And N93G #1130. 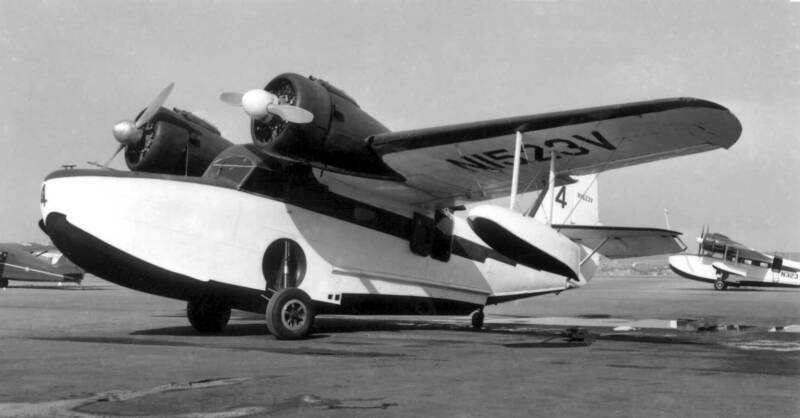 They all were in a pretty rough "mothballed" condition. 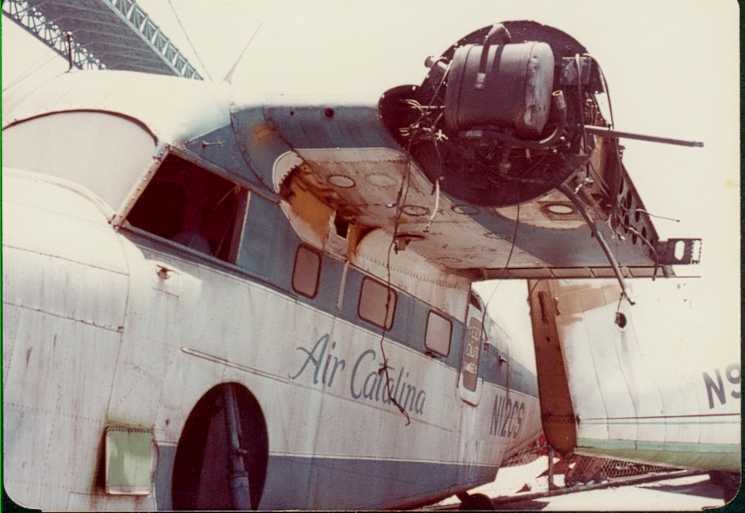 The interior shot is of #1007. 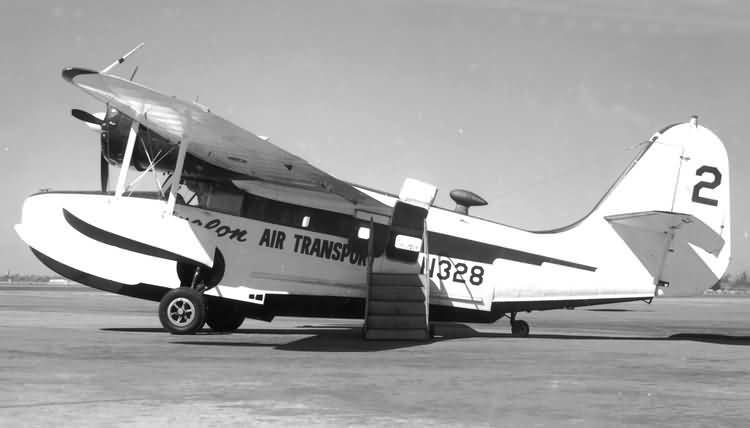 Serial # 1085 and 1130 are still around today. 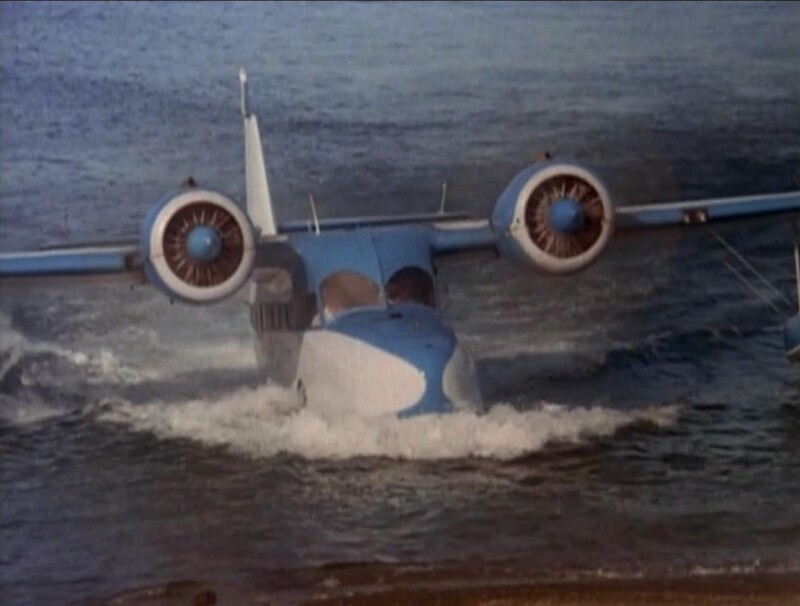 Serial #1007 appears to have been lost. 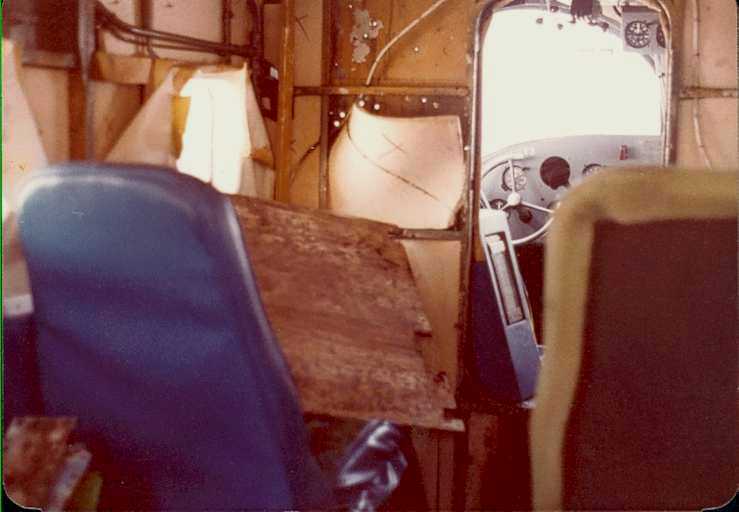 Interior of N13CS, Serial #1007. 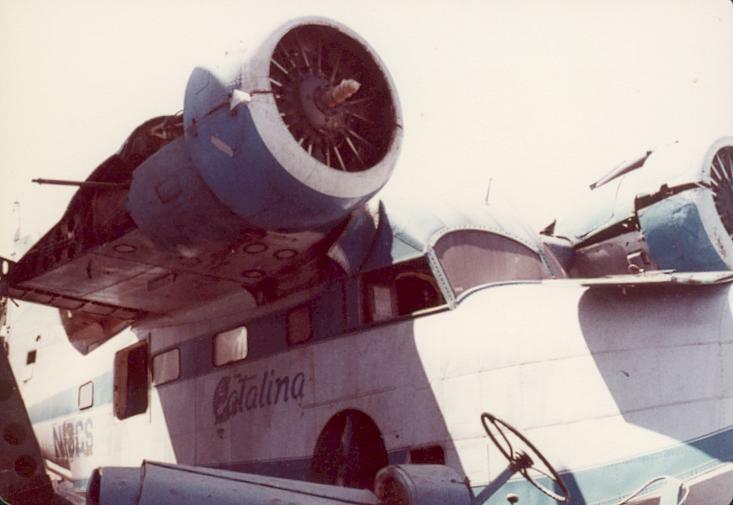 Catalina Airlines N11CS, Los Angeles Harbor, 1978. 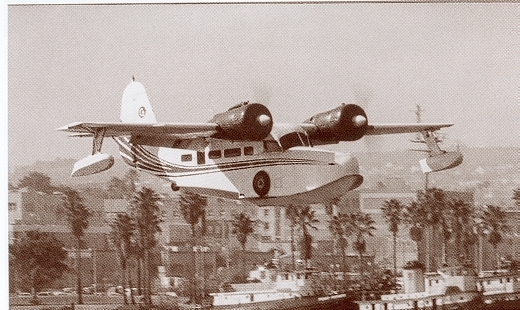 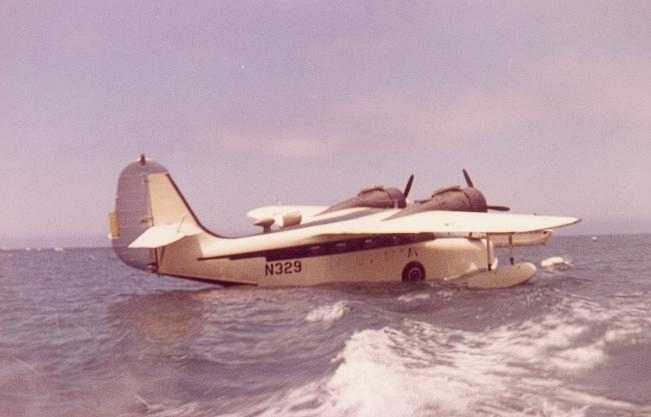 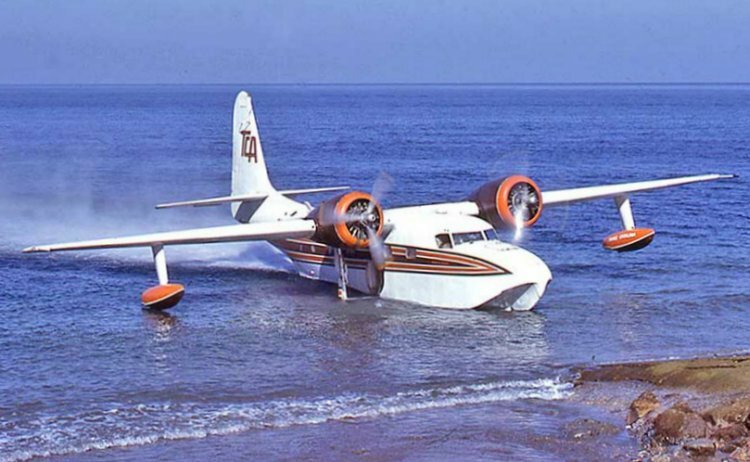 Air Catalina N12CS, Los Angeles Harbor, August 1974. 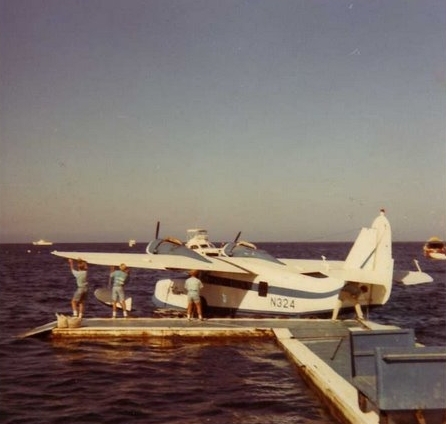 Avalon Air Transport, N329 serial #B119 moored in Avalon Harbor 1960..
N36DF at Pebbly Beach ramp, September 1979. 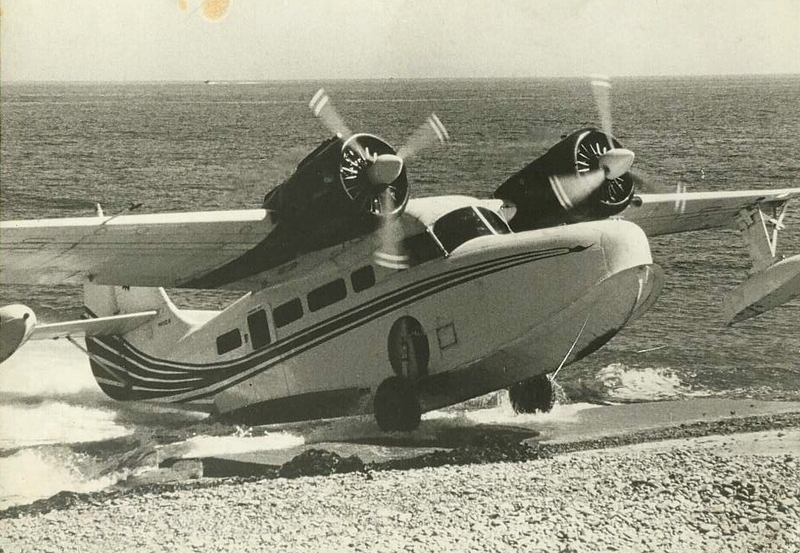 Photo by Geoff Goodall. 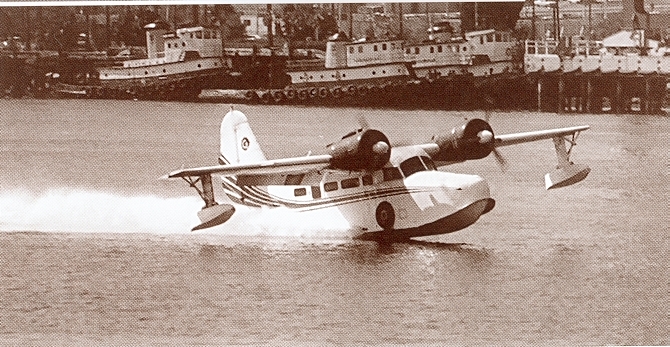 N11CS c/n 1166 prepares to land in Los Angeles Harbor. 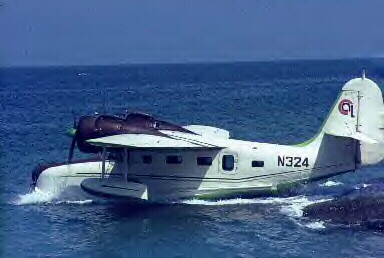 N324 Taxiing out of the harbor for take-off.